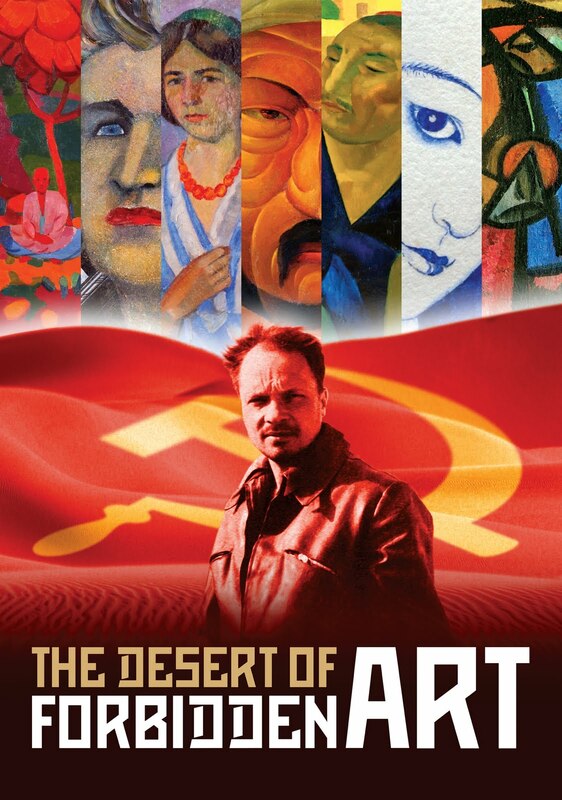 Amanda Pope and Tchavdar Georgiev's The Desert of Forbidden Art is the kind of documentary one might flip past on PBS or the History Channel that may seem a bit mundane at first, but before you hooks you before you change the channel and before long you can't look away. Told through recollections by friends and family, as well as letters by the artists themselves, read by Ben Kingsley, Ed Asner, and Sally Field, The Desert of Forbidden Art is the story of Igor Savitsky, a failed artist turned museum curator who made it his life's work to horde and exhibit forbidden art in the Soviet Union that did not conform to the government sanctioned "Socialist Realism." Stalin's regime consistently stamped out any free expression amongst artists, laying out very strict guidelines and policing every work that was publicly exhibited. As a result, many great Soviet artists went undiscovered for years as their artworks were deemed undesirable by the Russian government. In order to protect the art he collected, Savitsky founded a museum in a small town in Uzbekistan (then part of the USSR), unwittingly creating a hidden artistic Mecca in a backwater, forgotten corner of the world, exhibiting banned artwork right under Stalin's nose. Savitsky rescued over 40,000 works of art in his life, establishing a veritable treasure trove of art from what is essentially a lost generation of artists from that region of the world, whose work was suppressed for the better part of a century. What Savitsky did is of immeasurable importance to the artistic community. Because of him, we now have a window into worlds and minds from voices that would have never otherwise been heard. He rescued a generation of artists from the oblivion of censorship, turning that provincial town in Western Uzbekistan into a goldmine that is now a destination for art collectors the world over. Filmmakers Amanda Pope and Tchavdar Georgiev as well as cinematographer Gennadi Balitski at the Aral Sea in Uzbekistan, photograph by Ernest Kurtveliev. The filmmakers add a personal touch by using snippets from Savitsky's own writings, as well as letters and journals from artists whose work he preserved, to tell a more intimate story than a mere dry history lesson. The Desert of Forbidden Art is, above all, a testament to the triumph of freedom over repression, of expression over censorship, but Pope and Georgiev clearly understand what other filmmakers often overlook - these were real people. And rather than focus on some grand political statement, they choose instead to focus on the human side, the people who made this possible, and those who were rescued from obscurity by a man whose dedication has given voice to thousands. Running a mere 80 minutes, the film may seem a bit scant, and indeed it does end rather abruptly, it feels just about right for what it is. It would be impossible to cover all 40,000 works preserved by Savitsky. Just the number alone is staggering. 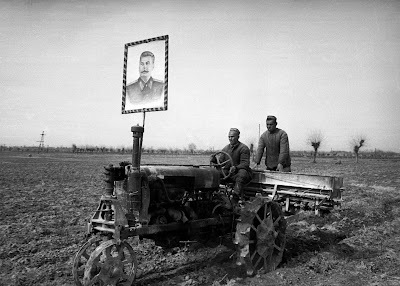 Instead, at about the length of your typical PBS or History Channel special, it remains engaging enough to provide a fascinating hour and a half crash course in Soviet history through a slightly different lens. And while using such TV comparisons may seem like an insult, it really isn't. Films like this exist for a reason. They may not always be the most thrilling or emotionally involving, but they preserve a moment in time. In the case of The Desert of Forbidden Art, it preserves not only Savitsky's achievement, but the work of thousands of artists who risked their lives just by painting. To that end, Savitsky's work can not have been in vain. THE DESERT OF FORBIDDEN ART | Directed by Amanda Pope, Tchavdar Georgiev | Voices of Ben Kingsley, Ed Asner, Sally Field, Igor Paramonov | Not rated | In English and Russian w/English subtitles | Opens tomorrow, Friday, March 11, at the Cinema Village in NYC, and March 18 at the Laemmle Music Hall in LA.